We found 7 holiday homes matching your search criteria. 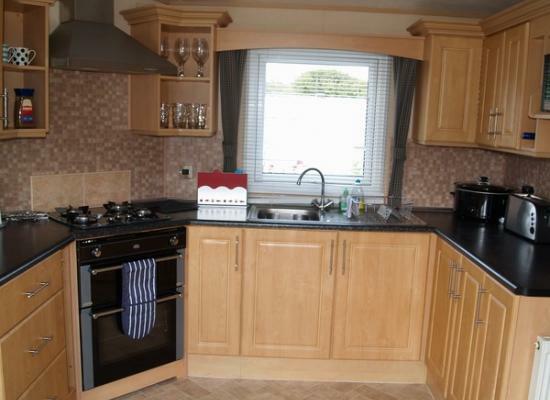 A comfy, spacious, well equipped 2 bedroom caravan. Sit on it's veranda to enjoy private countryside views on the peaceful family run site, Smytham Manor. Pets welcome. 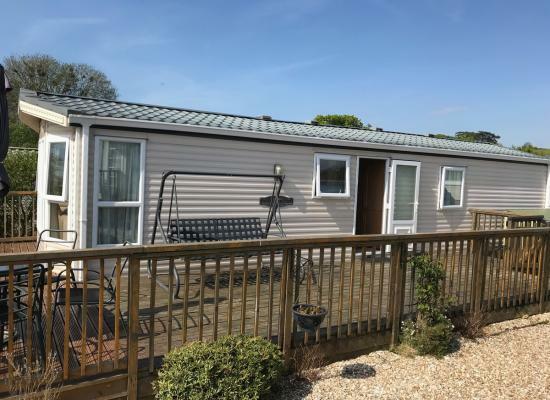 We offer a pet friendly, spacious, 2 bedroom, comfortable static caravan, on the beautiful family run site, Smytham Manor, Torrington, North Devon. Close to Westward Ho! & Saunton Sands for beautiful beaches. Please contact for nightly rates if rqd. 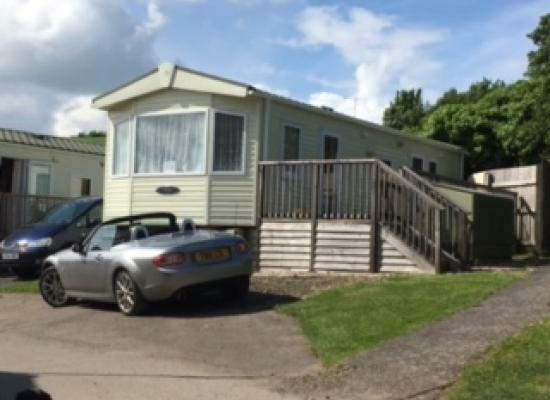 The caravan is situated on a beautiful site in the North Devon countryside. Located in Torrington, you are close to Bideford, Barnstaple and Westward Ho!. The Tarka Trail is linked to the site which offers 80 miles of walks and paths. A spacious and comfortable, 2 bedroomed holiday home in a peaceful position on the beautifully maintained park of Smytham Manor, North Devon. Direct access to the Tarka Trail from the site. 2.5 miles south of Great Torrington. 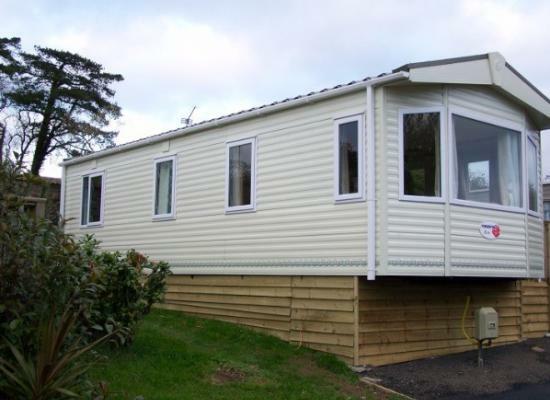 A Pet friendly clean and comfy caravan on a non commercial, quiet country park. great for woodland walks or just relaxing, Bar, Outdoor pool. 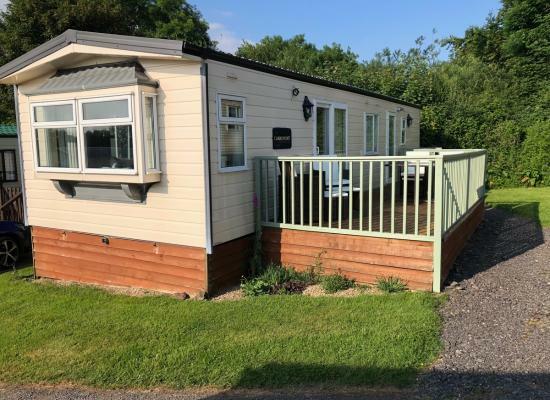 Family Holiday home - Pet Friendly 2 bedroom static caravan for hire at Smytham Manor, Little Torrington, Nr Bideford, Devon. Double glazed, central heated, enclosed decking area, (ideal for small children & dogs) sleeps 4. Lovely 2 bedroom, 6 berth caravan with pull out double bed in living room. Outside seating and light decking area. Smytham Manor Holiday Park amenities include an on-site shop, a pub, an outdoor swimming pool and nice open spaces. Smytham Manor is situated in a great location for those who want to discover all the unspoilt countryside and coast that North Devon has to offer. The famous Tarka Trail is linked to Smytham Manor Holiday Park, and gives cyclists, walkers and dogs a flat, gentle path which is over 80 miles long and winds across the Devon landscape. Within 15 minutes you can be at a beach with Westward Ho! nearby and not to mention Wollacombe, Ilfracombe, Bude and Croyde all within 30 minutes drive. Any one of these locations make for a great family day out, especially for those who enjoy watersports or a day on the beach.